A performance which convinces everyone. Please notice that the compendium 3.0 is out of stock. The compendium 4.0 is about to be finished. Stay curious! Our high potential flux for laser soldering without flux spitting. New Gummix-Flux available with several cost saving and productivity increasing features! 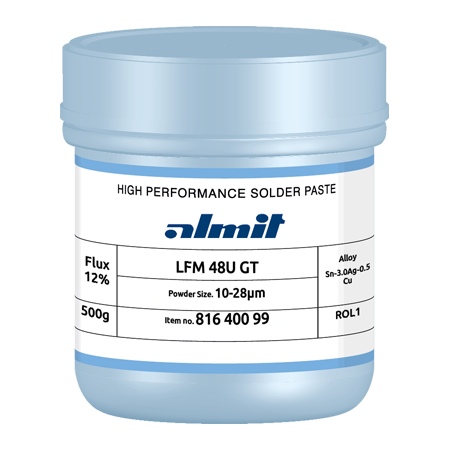 Our new GT-Flux for solder paste is the perfect flux for THR soldering.It has great wetting characteristics and you do not need PreForms anymore! Our new released M-Line is the follow-up for our well known S-Line. The M-Line has even higher anti tip-wastage features with a new alloy composition. This can save you pure money and increase your productivity! Due to steep rise of metal costs, examination of low silver Pb free solder is on the rise. Low silver SAC alloys have not been adapted to SMT assembly so far. 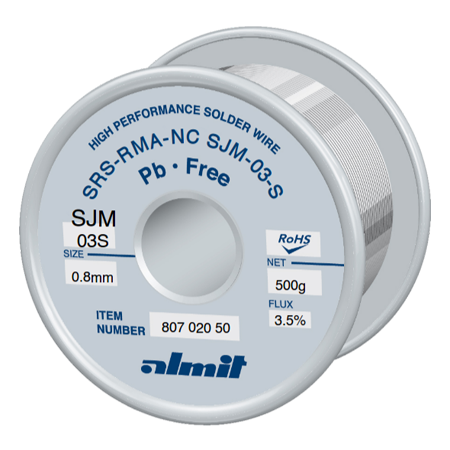 Our SJM Solder especially improves thermal fatigue. Almit exhibit at the Internepcon Japan. Almit exhibit at the WIN AUTOMATION Istanbul. Almit exhibit at the Productronica in Munich.